Participate in a gourmet experience at the heart of Spanish tapas culture. Taste the best premium Iberian Ham you can find in Spain. 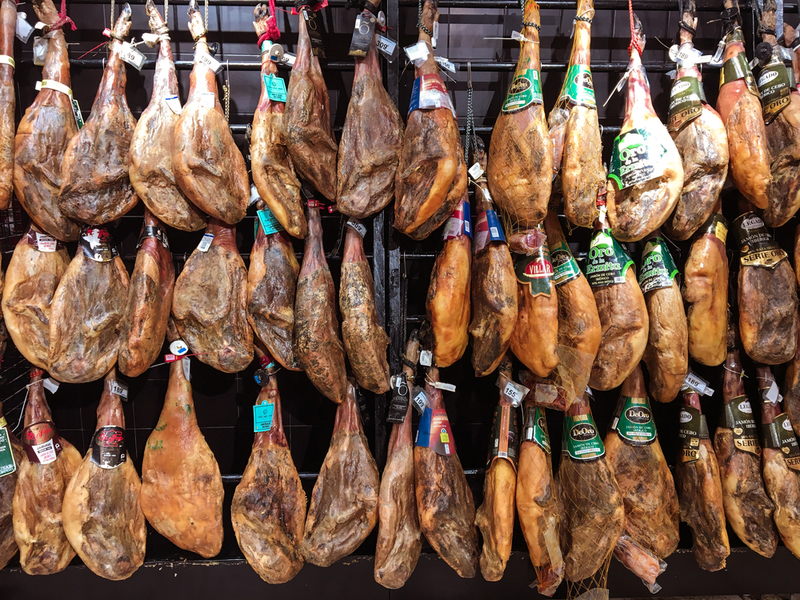 On this tapas tour, you will get the chance to taste and learn all about the best premium Iberian Ham, a quality product exported all over the world. We will only eat black-label pure race Iberian cerdo fed with acorns. Of course, we won’t eat only ham, you will also get the chance to try the most typical Sevillan tapas in the most local tapas bars. By the end of this tour, you will have fallen in love with the unique taste of Jamón Iberico de Bellota, learned all about it: its production, seasoning and cutting, you will have tried Sevilla’s best tapas and learned all about the tapas culture that characterizes southern Spain. We accept only four bookings per tour at most, this means that our groups usually range from 4 to 12 people, rarely more. This way, we can adapt the tour to your preferences and you can ask as many questions as you'd like. We believe this intimate setting is better for both our clients and our guides. It depends on the group, on how crowded bars are, on the day of the year, on how crowded the streets are. It generally ranges from 2h30 to 4h. We can make it shorter or longer depending on your preferences, it’s your tour! If you have a nice photo-camera do bring it with you, you will take amazing pictures during the tour! The tour starts in Plaza del Triunfo, right between the entrance of the Cathedral and the entrance of the Alcazar, right under the column. Click on the button below to see the location on Google Maps. We will give you more detail once you receive your booking confirmation.